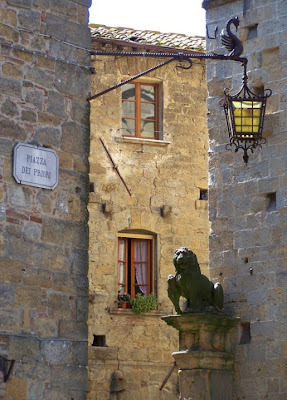 Among the wonderful towns in Tuscany that are very much worth visiting is Volterra. 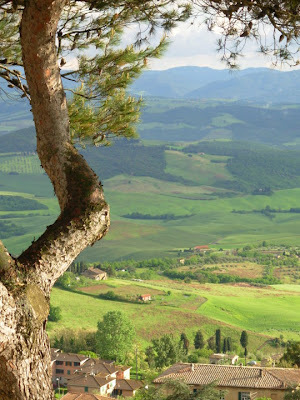 Located between Pisa and Siena, this ancient hamlet has origins that go back as far as the Neolithic Age. Its elevated position, 1770 feet above sea level, made it ideal as an urban center for the Etruscans, who in the 4th century B.C. 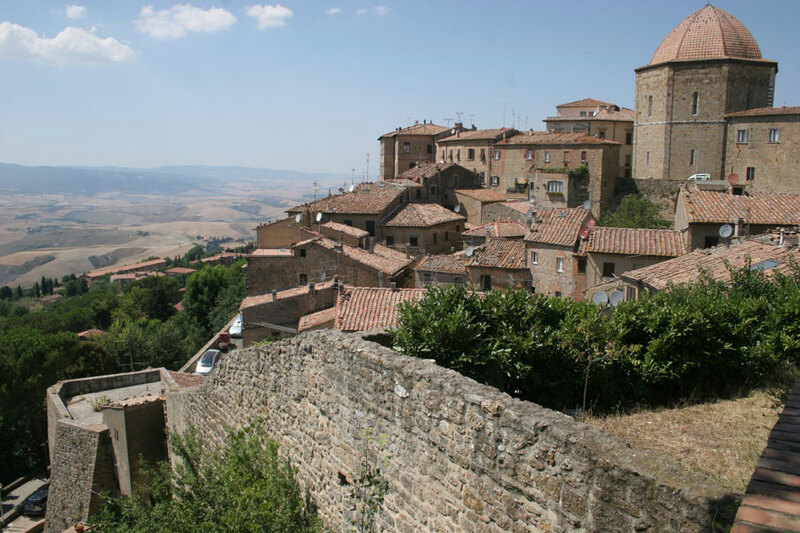 erected the great defensive wall that extended for more than 7 kilometers, encircling the town and the surrounding arable land. 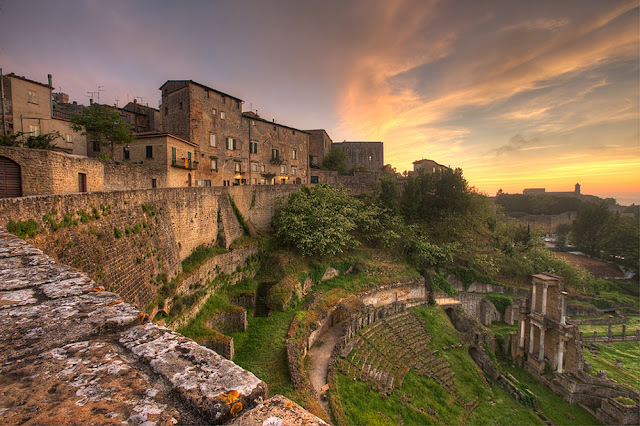 Known as Velathri, it became one of the twelve city states of Etruria – and the Etruscan Acropolis remains one of the obligatory stops when visiting Volterra today. 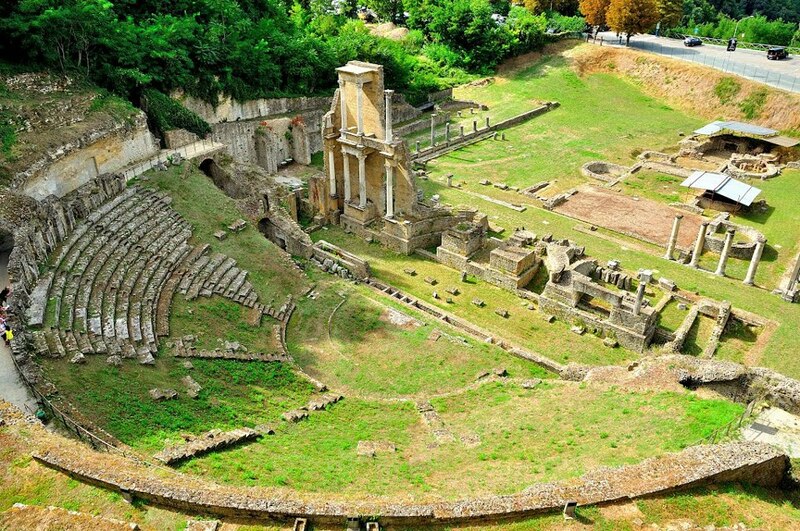 Subsequently, the Romans changed its name to Volaterrae and left their mark, namely by building a theater, another major tourist attraction, and a vast residential area in the neighborhood of Vallebona. Over the centuries Volterra has preserved its historic charm and continues to fascinate and draw visitors from all over the world. Recently brought into the limelight by “The Twilight Saga”, this magical town has become an even more sought after location for curious fans. Rich with history – first as a medieval stronghold and the bishop’s residence, then later under the rule of Florence and the Medici, the town grew to have beautiful monuments and impressive architecture – including the charming narrow streets that create a romantic atmosphere and leave visitors with the feeling that they have stepped back in time. 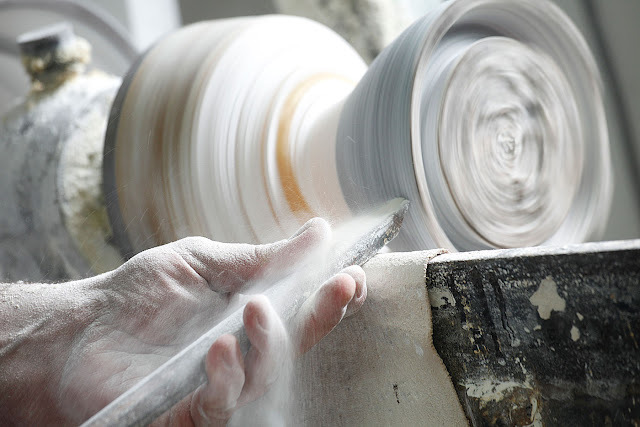 For over two thousand years Volterra has been famous for its alabaster, and the tradition of working with this unique material, although greatly diminished over the years, is still continued by a number of proud local artisans. The beautiful local countryside is also a strong point of this area. The green landscapes and gentle rolling hills are the stunning backdrop of Volterra. 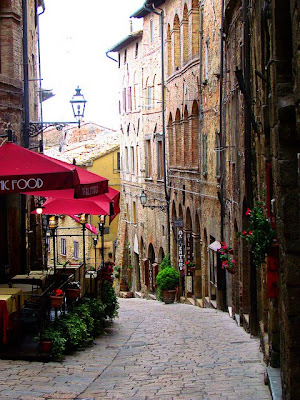 A unique opportunity for hikers is to take the scenic trail that was formerly the “Salt Route” leading to San Gimignano. In fact, salt was one of the primary sources of wealth for Volterra through history. 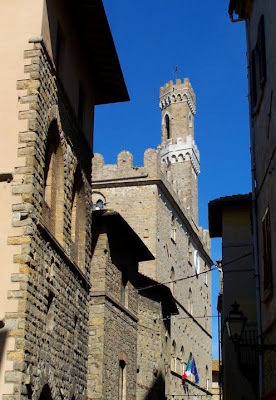 Another important event hosted by the town is Volterragusto – a food festival held in late October, and again in March, which celebrates the areas eno-gastronomic tradition and especially the delicious and world famous local white truffles.